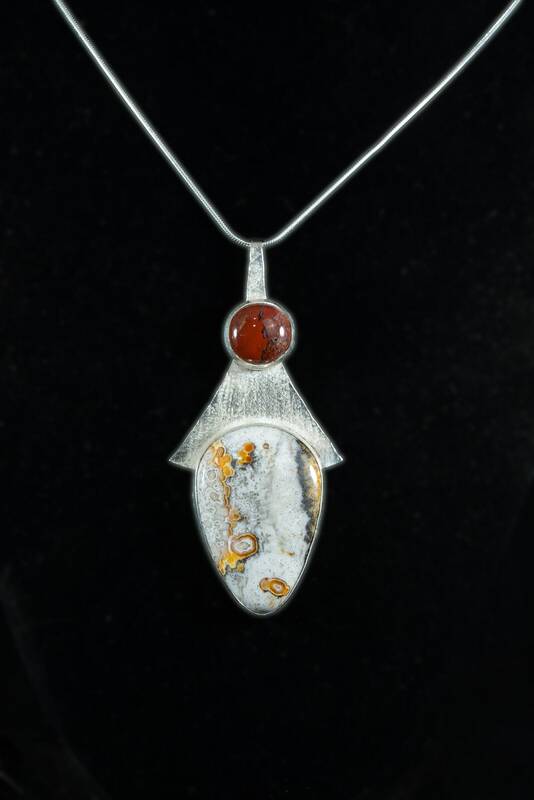 A one of a kind handmade Art Deco sterling silver pendant. 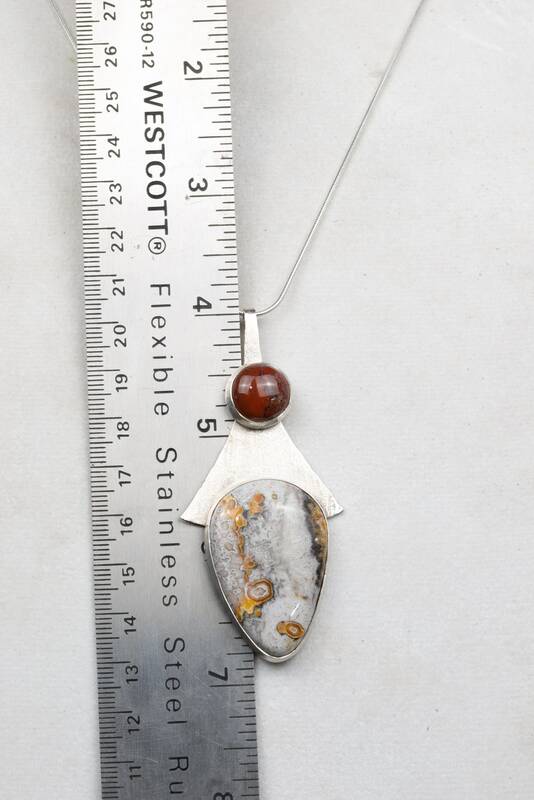 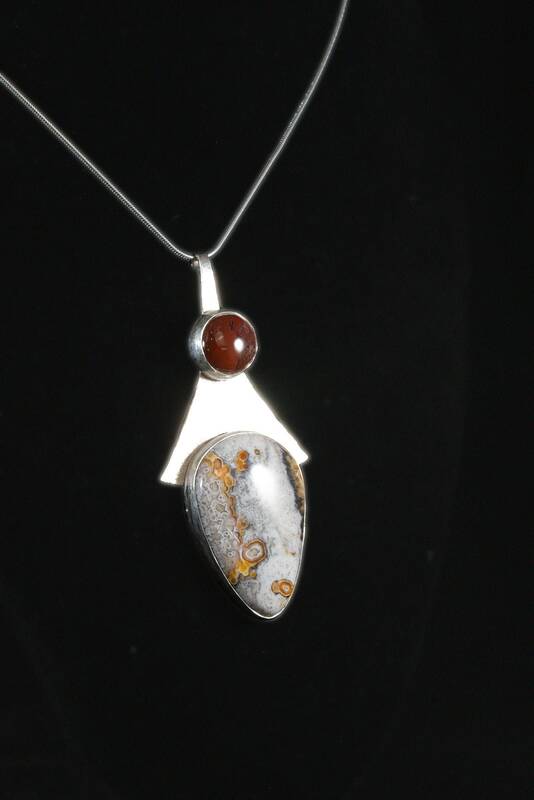 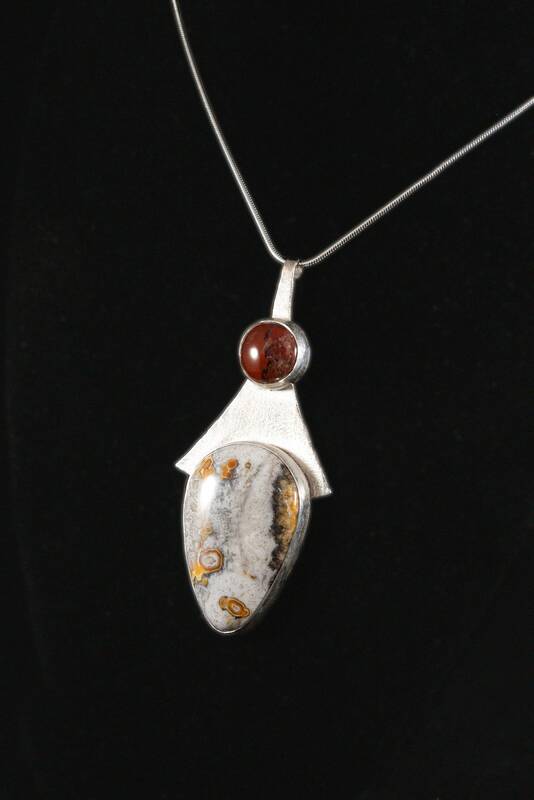 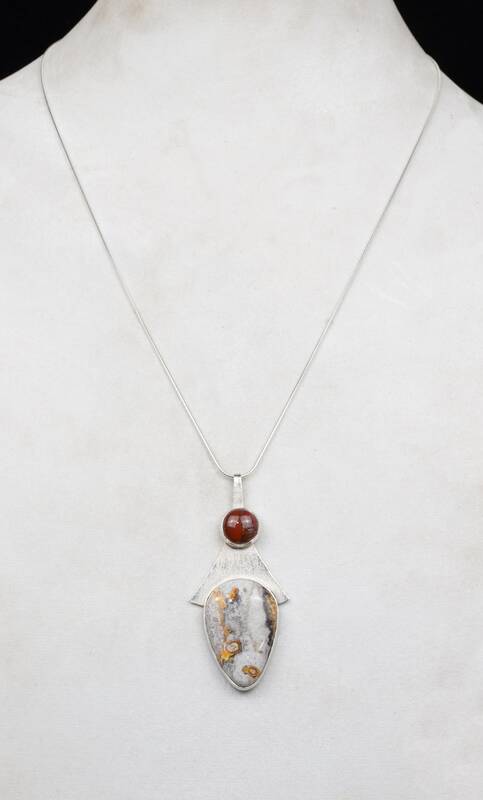 Made with an elegant hand cut and polished Crazy Lace agate with a round red jasper accent stone. 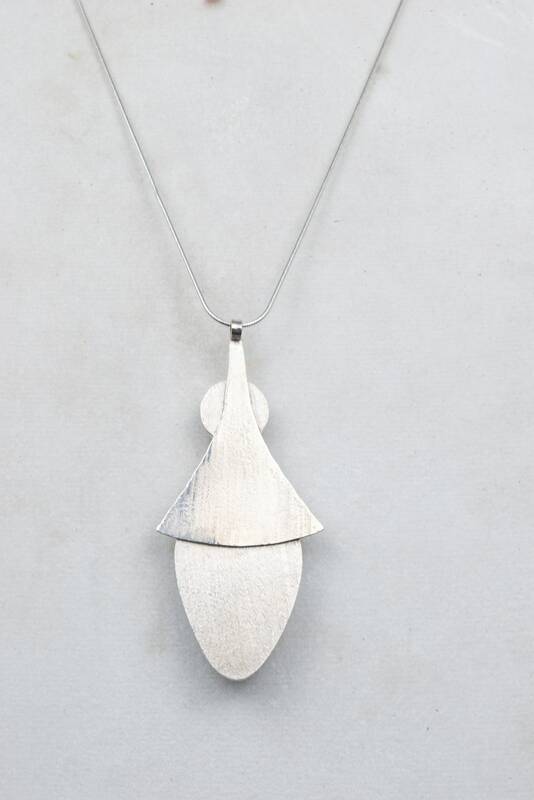 Set in fine silver bezels on a hand textured sterling silver back plate.